Bamboos hollow structure has been used to great advantage in this open-aired family house, intended for living in warmer climates. 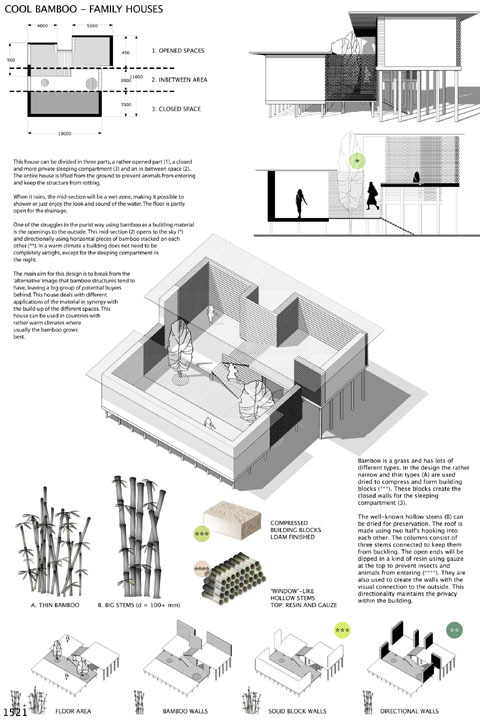 A central courtyard has been built into the floor plan, using hollow bamboo cross-sections stacked in such a way to allow in airflow and light. The airtight walls of the sleeping compartment are made of compressed-bamboo bricks.